Holy moly, I am excited for this one. I have had this material & pattern matched up in my head for a while, but it's one of those projects that you just never really end up getting around to? Not this time! 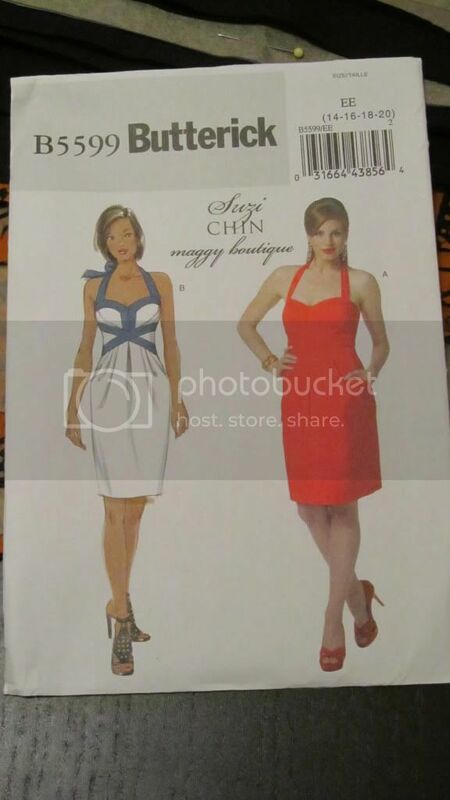 I bought this pattern quite spur of the moment, and was initially drawn to the interesting bodice & the deep looking pockets. I've been quite jealous of all the people that have made Gerties Bombshell Dress, but i knew i'd never get around to buying to the course (I'm just lazy really!). Seeing this pattern made me think of her design so I thought why not? I like the idea of having a contrasting colour outlining the bodice, so I'm making version B. For my fabric I've chosen the rather bright orange/black African wax cotton I picked up in a closing down sale from a fabric shop that's been located in my hometown ever since I can remember (very sad). 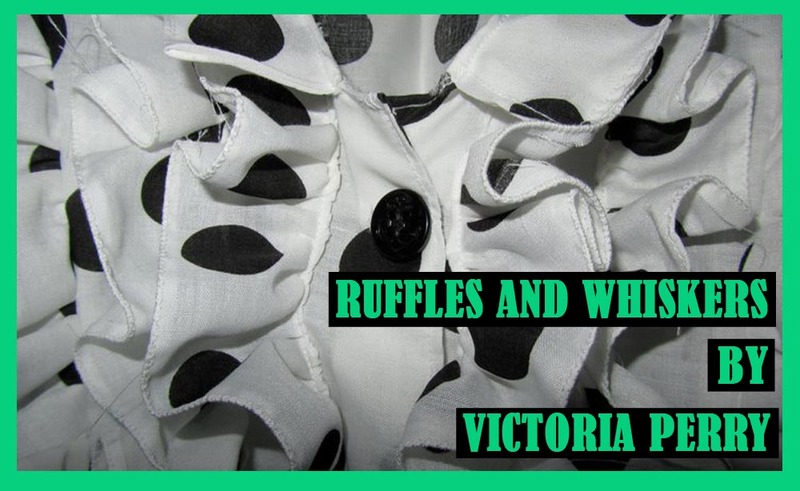 I'm going to stick with black cotton as the contrasting fabric. I'm gonna warn you all now, this pattern is NOT for the faint hearted. 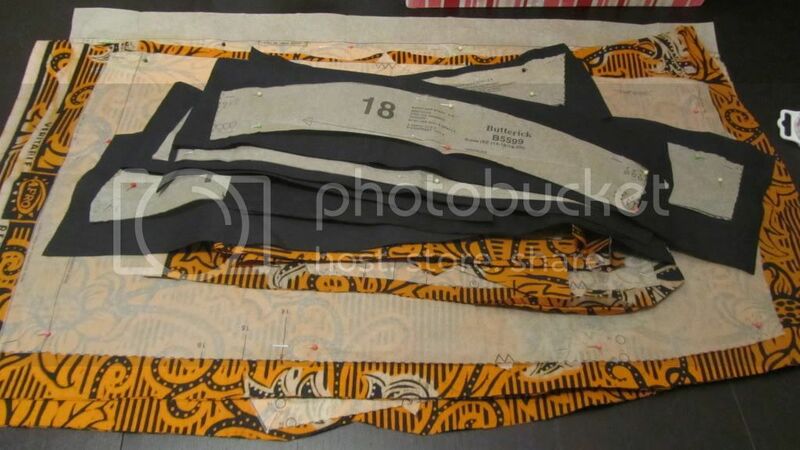 There are 20 pattern pieces, then there's the lining & interfacing as well! I'm currently in a sea of fabric & tissue paper. However I am excited to get started on this as despite the amount involved it looks like the construction should be really interesting. 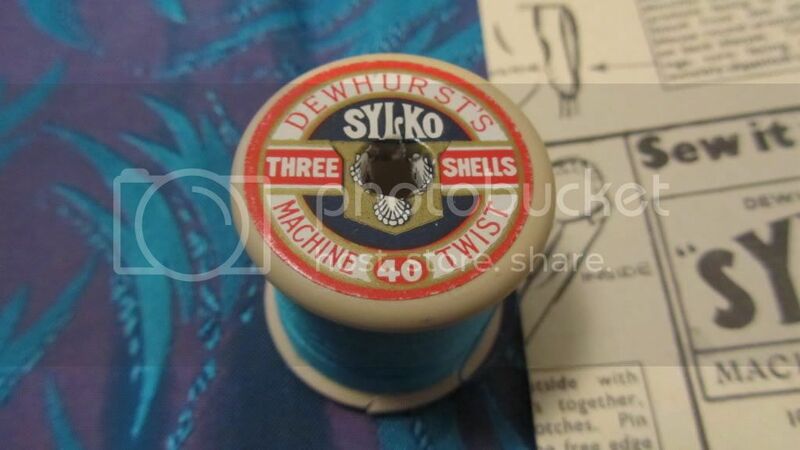 I also wanted to quickly share something I came across while I was re-hemming a 1950's dress for my car show stall, I realised something very familiar about the thread I was using. On the instructions of one of my 1950's blouse patterns there is an advert for this exact thread! I thought it was pretty cool that I was using 1950's thread to repair a dress from the same era?! 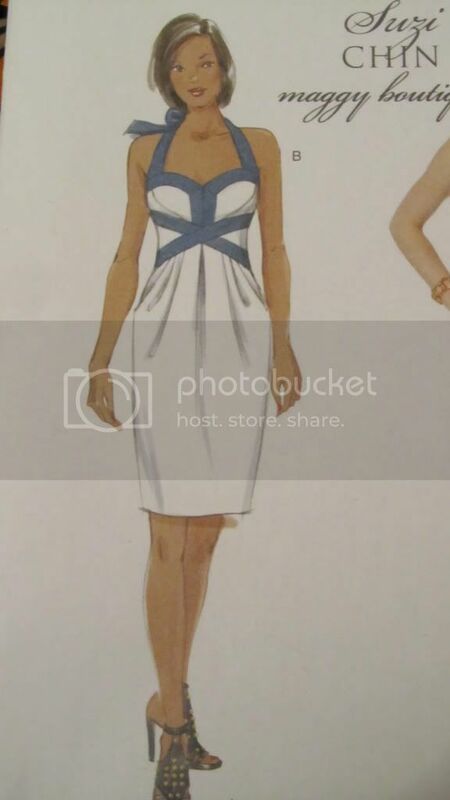 This dress looks like it's going to be lovely.